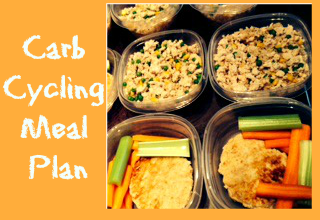 This is my first edition of a carb cycling meal plan. I might experiment with a few different ways of showing the meal plan to make it easy to follow. Let me know if this is easy to read in the comments section below! For my reward day, I am sticking to the 5 meals. I will keep portion sizes in check. Two small pancakes, a small Italian and a reasonable portion of dinner. None of my choices are out of control for my reward day, but I am not worrying about the proper mixture of carbs/fats and protein. By eating lunch out, I am taking one meal off from cooking which is always nice in my book!! **All recipes can be found in either Choose to Lose or Choose More, Lose More for Life books by Chris Powell. If I like the recipes, I will post them at a later date. ***This is the one day that I may go off plan, as it is New Years Eve and I don't know our plan yet. If we don't do anything special, I will cook, but if not I will just cook it on Friday. Today I am linking up with the Laura's! Mommy Run Fast and I'm an Organizing Junkie! Looking for meal ideas? Head over to their site for a whole bunch of great plans! Wish me luck for the first week of the diet! I am excited that everyone is on vacation and I will have more time to prep and all our meals can be eaten at home. Next week, I will have to be more creative because two of my meals will need to be eaten on the road! Have a fabulous Monday everyone! 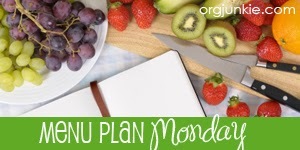 Sounds like you're off to a great start with that plan- I know you can do it!! Thanks Laura!! I am feeling really good about it this time! I am also looking forward to everyone keeping me accountable :) Have a great week! Hi Sandra, I cohost the menu planning link up with Laura and wanted to say thanks for linking up. Ironically, I was just looking at Choose to Lose this weekend at the bookstore. I didn't buy the book, but still considering it. Off to read the links you shared. Me again :) I'm adding your blog to my reading list to follow your progress. CTL seems totally doable. Sounds like a very nicely structured meal plan. I've actually never heard of carb cycling. Good luck, I'm sure you'll knock it out! Sounds like you're off to a good start! Can't wait to hear more... Like Janelle I've never heard of carb cycling. I'll go check out the books you mentioned in your post. What are the portion sizes when making the meals?